I think this is originally taken from the Annabel Karmel weaning book. It's one of the few things I can make with the children that isn't cake or biscuit based that they simply adore so I do it from memory now. 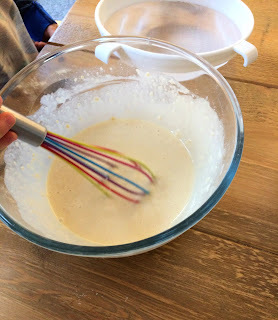 This is a great one to make with children, measuring flour, sieving, mixing in eggs and milk and then they are really quick to cook. 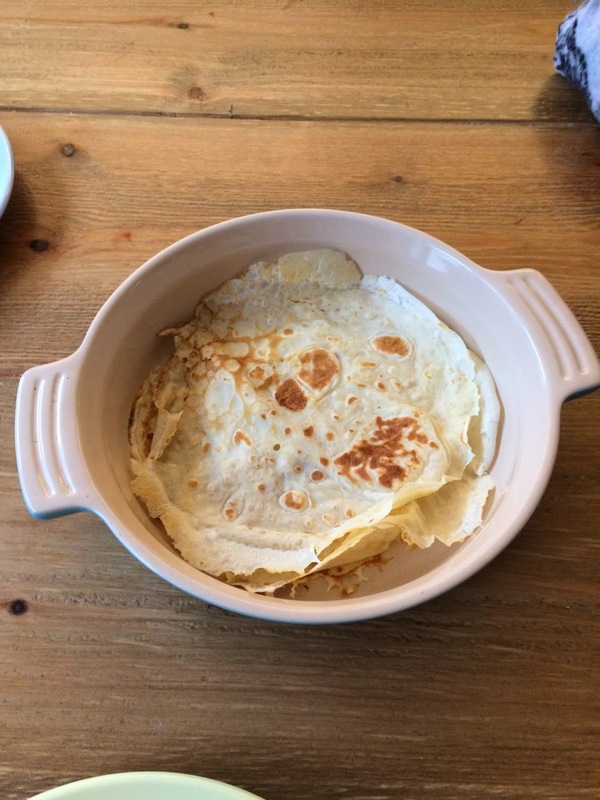 Fluffy American-style pancakes may be all the rage but mine prefer these and you can make bakes with them too! My oldest two have them with maple syrup, the baby has bits with butter and my husband has golden syrup. I'd love to say we have them with bananas and blueberries but that would be lying. You'll need a smallish frying pan for making the cakes. I make this all in one bowl and spoon into the pan with a tablespoon - a Silicone baking Brush is useful for brushing the pan with butter. 1. 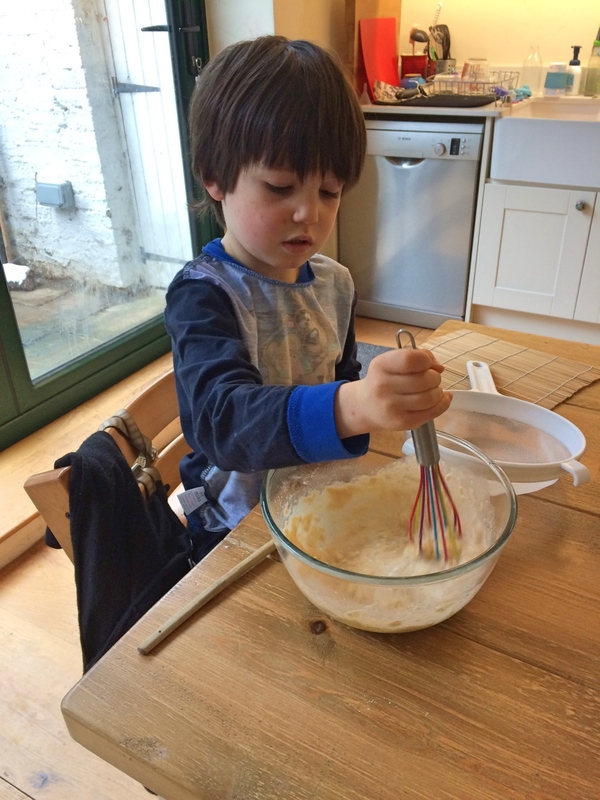 Sieve the flour into a mixing bowl, make a well in the centre and add the eggs. 2. With a balloon whisk, mix the eggs into the flour then gradually whisk in the milk until just smooth. 3. Brush a frying pan with melted butter and when it's hot, spoon in 2 tablespoons worth of batter, and cook for a minute or so then flip it over. Serve with maple syrup and fruit if you can get it into them... needless to say mine just have maple syrup.